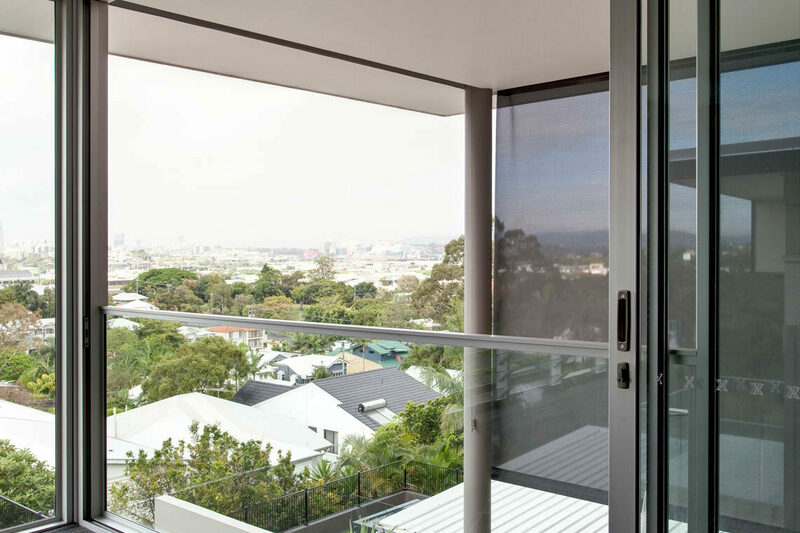 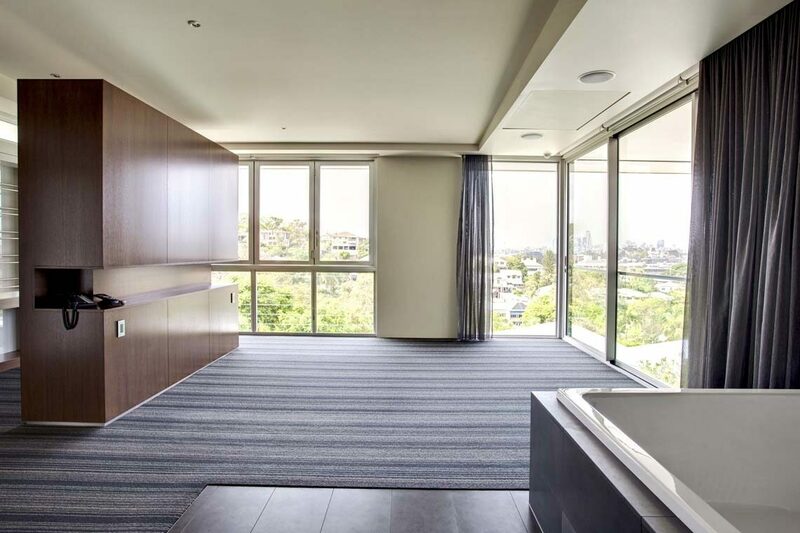 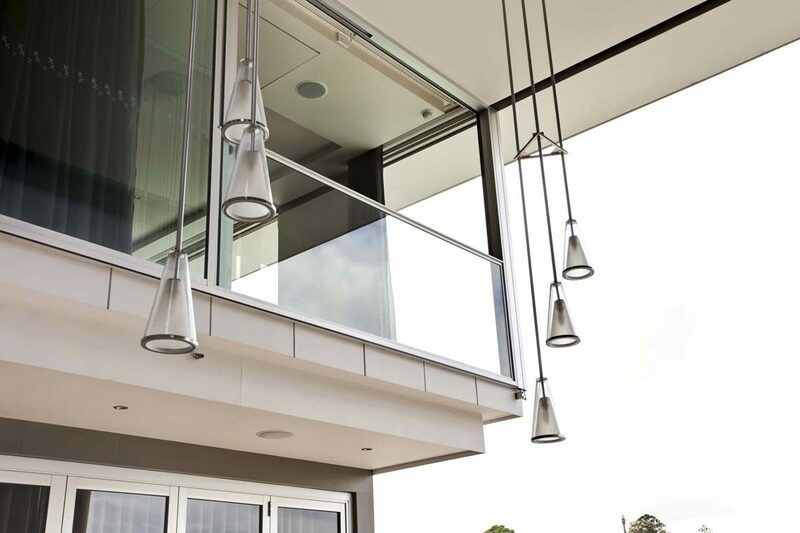 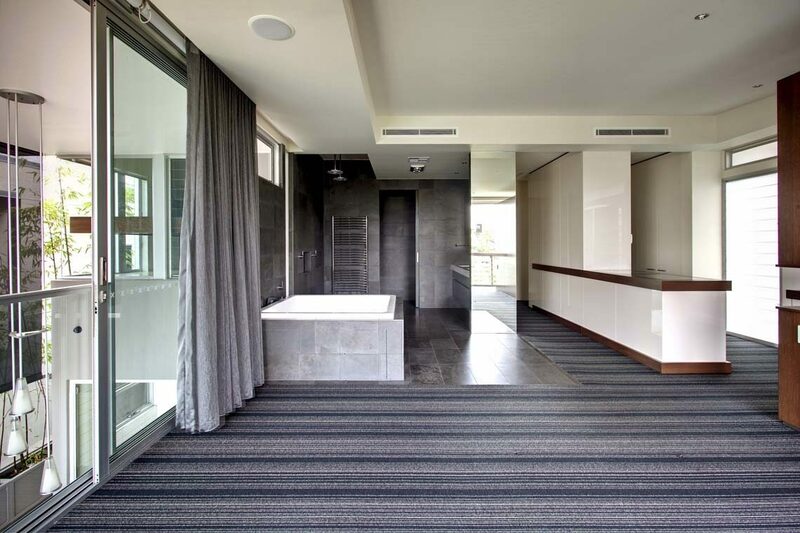 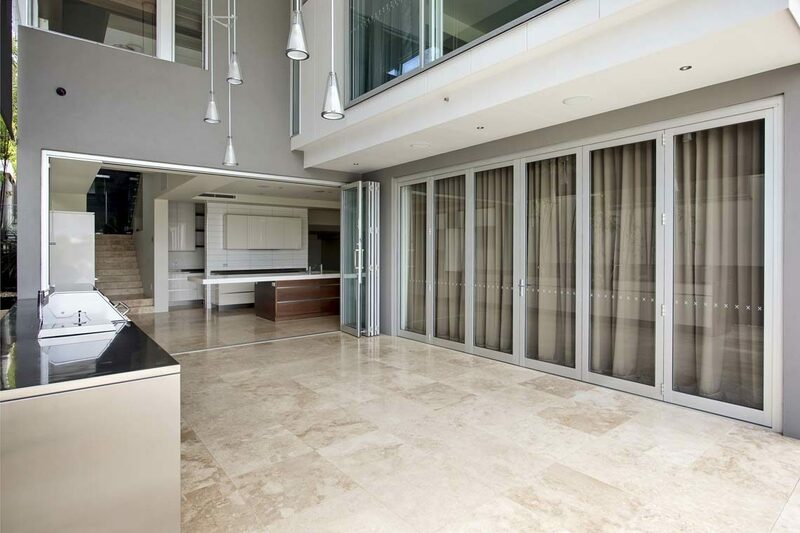 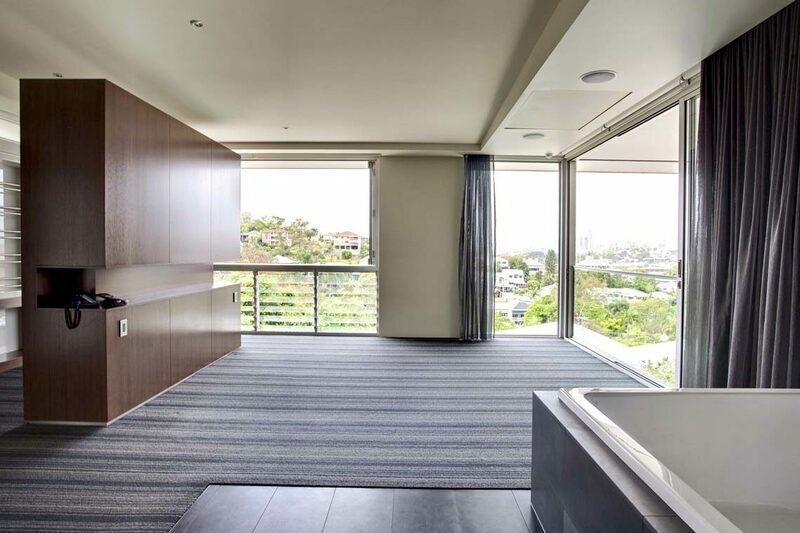 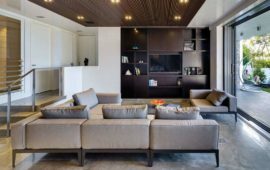 This premium residence in Hamilton utilises 411 top-hung bi-fold window over 525 louvre low-lights and 618 stacker doors in the open-plan master bedroom and bathroom to fully access the stunning CBD views and river breezes. 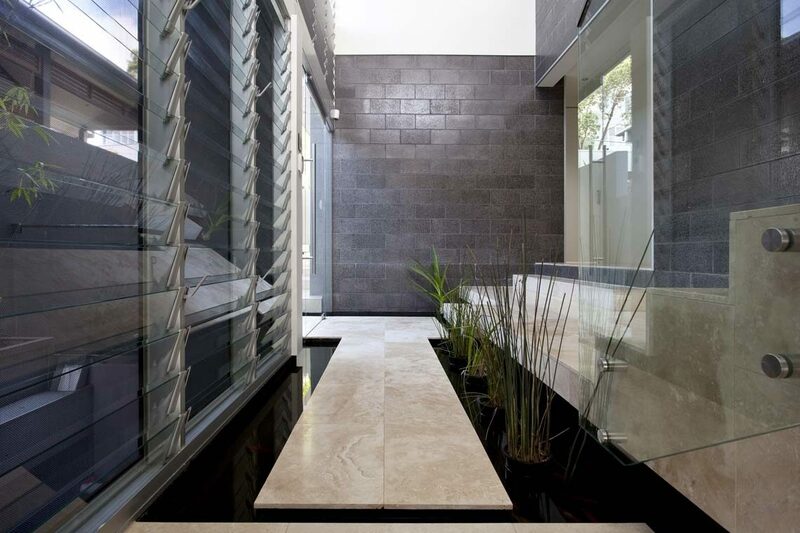 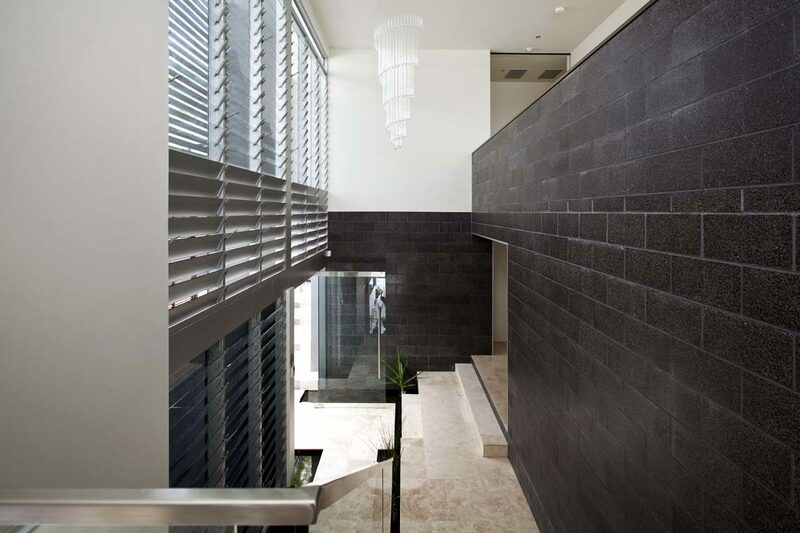 The secluded entry way leads to a frame-less glass pivot door providing unencumbered views of the breath-taking marble foyer and void area, framed by an expansive array of 525 louvre windows. 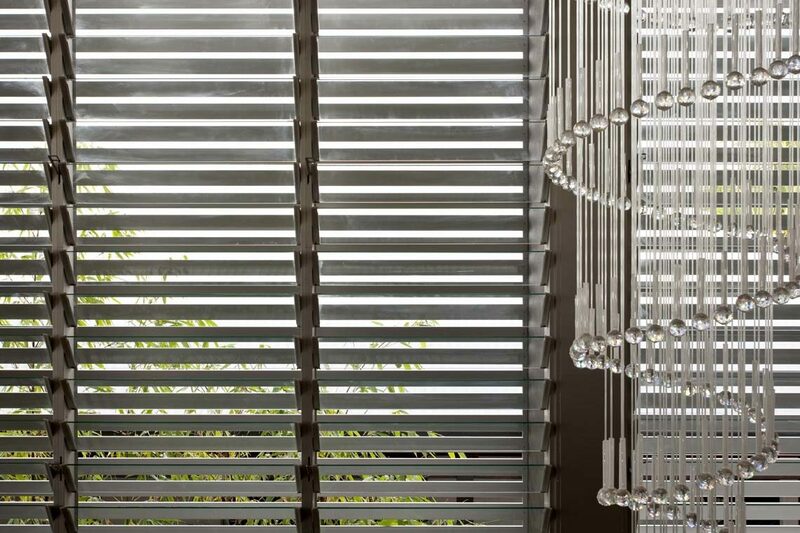 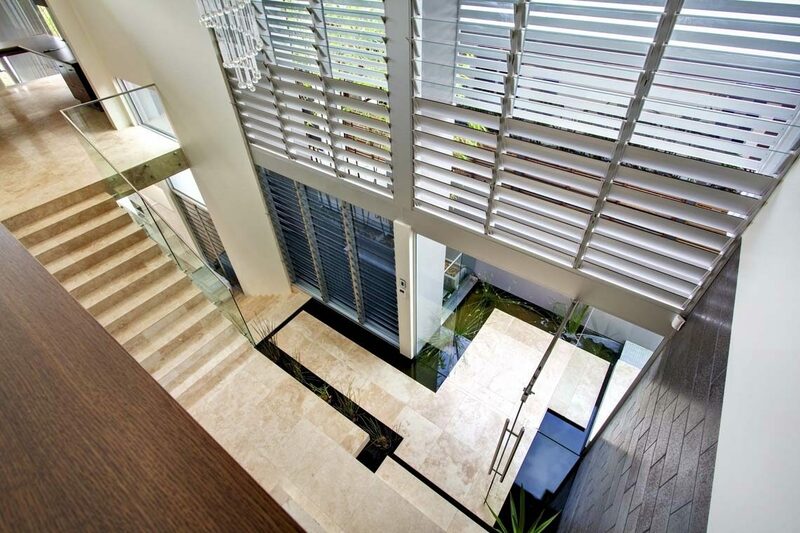 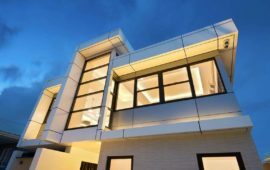 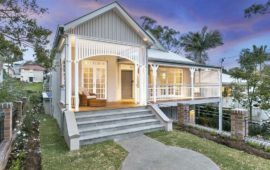 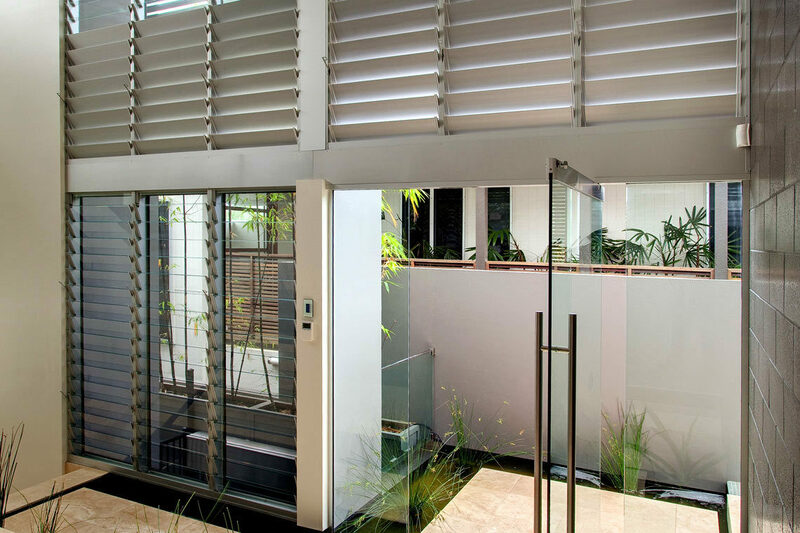 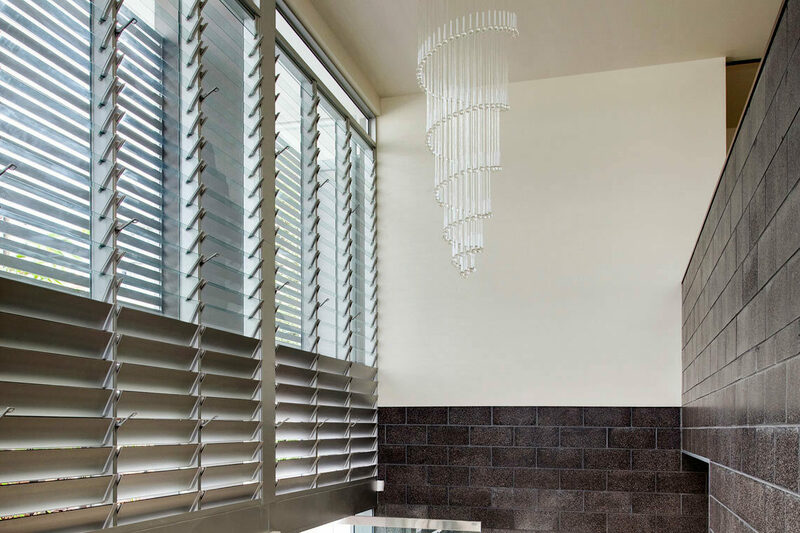 The multi-bank louvres make clever use of both glass and aluminium blades in conjunction with external fixed shutters to provide privacy and control of light functionality. 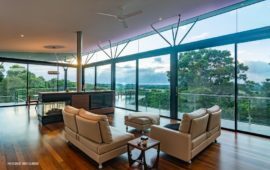 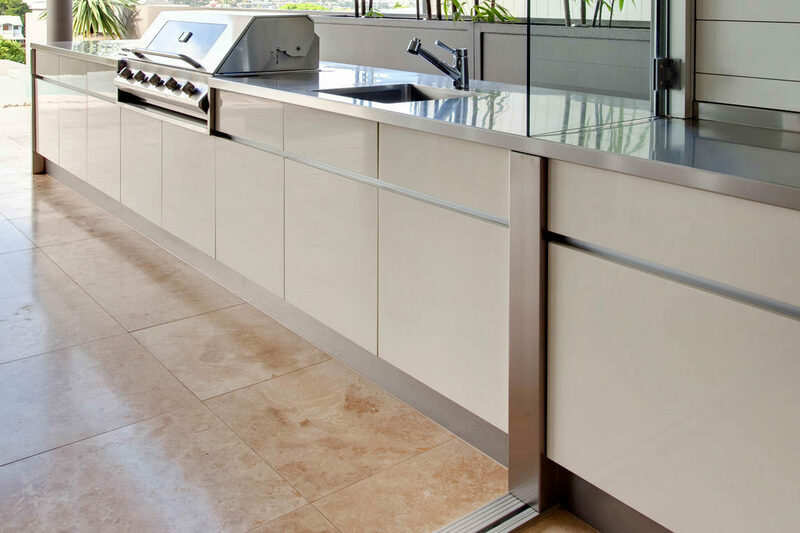 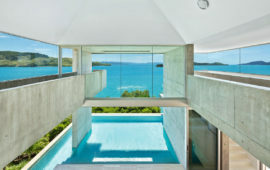 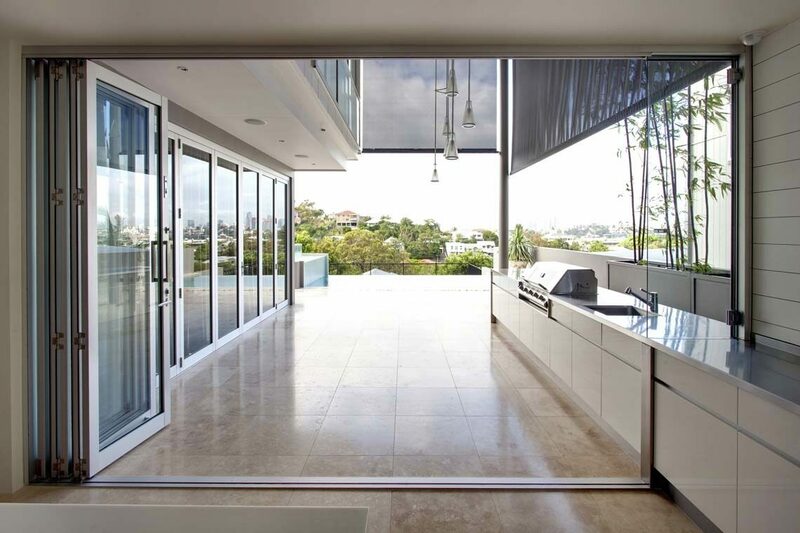 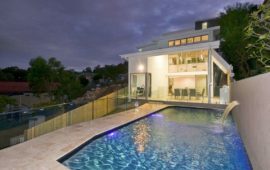 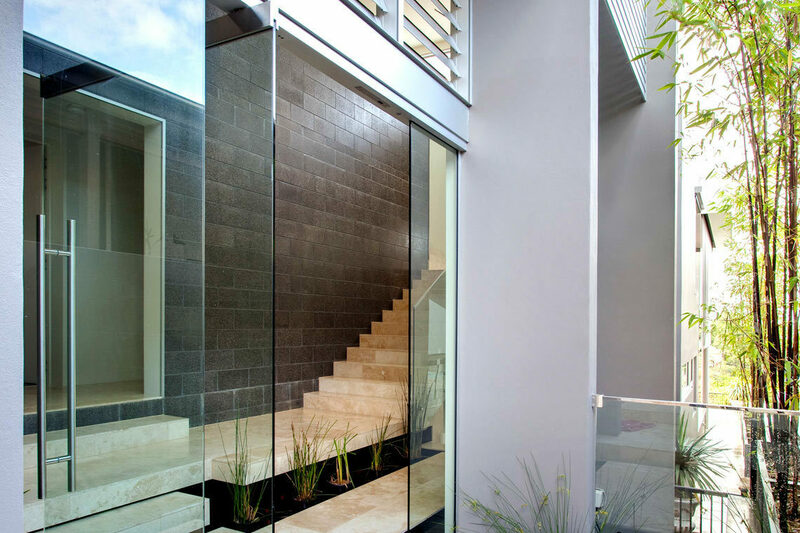 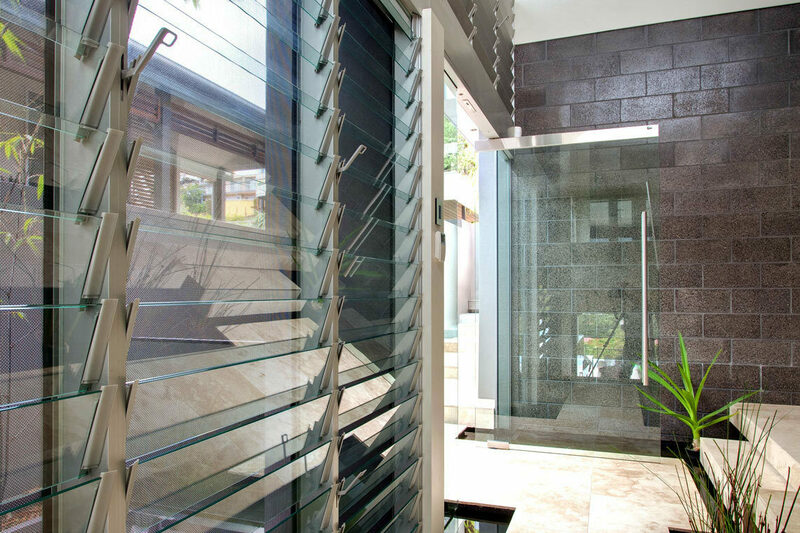 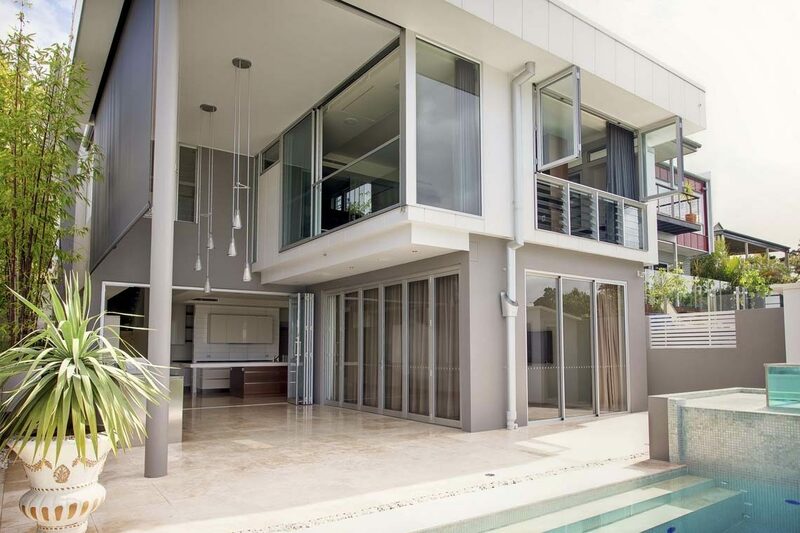 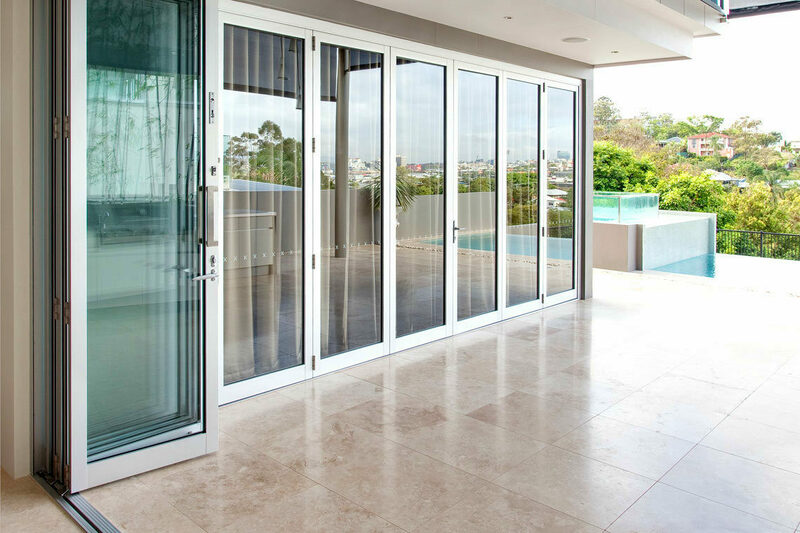 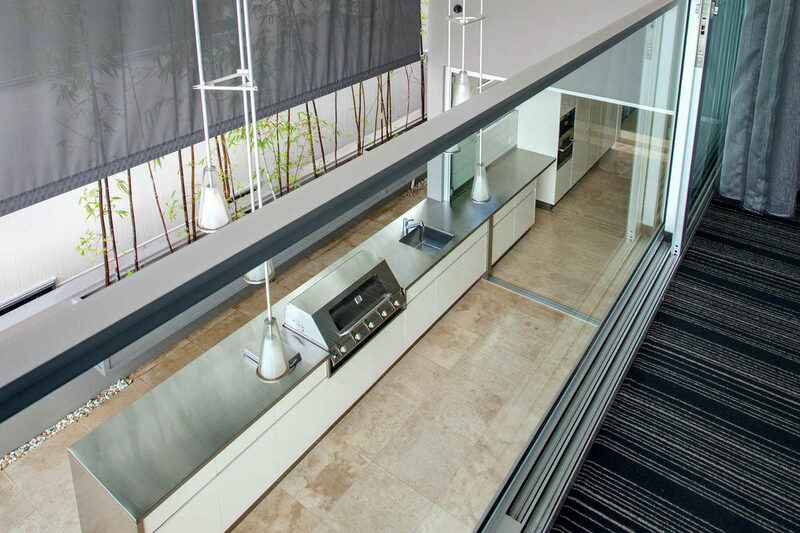 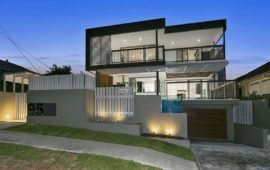 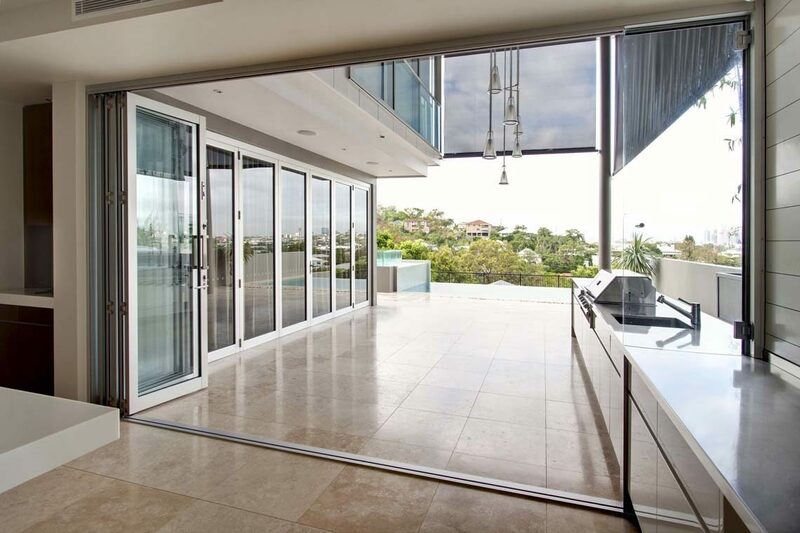 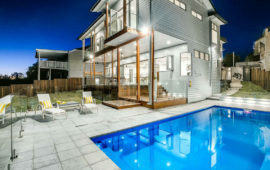 Separating the lower level outdoor area is a 411 bi-fold door which closes onto the continuous bench-top; completed with a frameless hinged glass panel for an open-air feel.